Anxiety disorders are a spectrum of disorders that share similar traits such as excessive fear, worry and associated behavioral and physiological disturbances. Where fear is an emotional response to real or perceived threat, anxiety is anticipation of future threats. These two may overlap but there are distinct ways in which they differ. Fear is more often associated with physiological changes necessary for fight or flight, anxiety is often associated with muscle tension and preparation for future danger with cautious or avoidant behavior. Anxiety disorders typically last long periods of time, causing impairment in all aspects of your life, including work, school or in relationships. Anxiety symptoms may start in early childhood or adolescence and persist into adulthood. According to the National Institute of Mental Health, anxiety disorders are the most common mental illness in the U.S., affecting 40 million adults in the United States age 18 and older. However, while anxiety disorders are highly treatable, only about one-third of those suffering symptoms seek anxiety therapy treatment. Anxiety disorders are primarily differentiated by the subjects or situations that induce the fear, anxiety, or avoidance behavior and associated physiological response. Anxiety disorders can also be differentiated by the associated symptoms, which can be similar across these disorders. Anxiety disorders can be best identified by close observation and documentation of the types of situations that create anxiety or avoidance and the content of the associated thoughts or beliefs. The key characteristic of generalized anxiety disorder is an excessive anxiety and worry about any number of events or activities. Those who struggle with generalized anxiety disorder find it hard to control their worries and keep their thoughts from interfering with their focus on day to day activities. Adults with generalized anxiety disorder often agonize over everyday, routine life circumstances, such as health, finances, responsibilities, job performance or house chores. 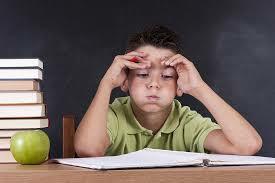 Children with generalized anxiety disorder tend to stress over their ability or their quality of performance. Worries that are associated with generalized anxiety disorder are in excess and are often intrusive and disruptive. Generalized anxiety disorder often manifests as physical symptoms such as restlessness, muscle tension, feeling on edge, and being easily fatigued. Many individuals with generalized anxiety disorder also experience physical symptoms such as sweating, nausea, or diarrhea. Other conditions that may be associated with stress include irritable bowel syndrome and headaches. Fear or worry about certain places or situations that triggers a severe panic of feeling trapped or helpless. Panic disorder is characterized by recurrent and unexpected panic attacks. These panic attacks come about as a strong surge of intense fear and/or discomfort that reaches a peak within minutes.The abrupt surge of symptoms can occur from a calm state or an anxious state. Frequency and severity of attacks can widely vary and they are often accompanied with and compounded by concerns and worry about the consequences of a panic attack (e.g., heart attack or “losing it”) or feeling embarrassed. With social anxiety disorder or social phobia, individuals are anxious or excessively nervous about their social interactions with others. These anxieties stem from extreme fear of being scrutinized and often make social situations very uncomfortable for individuals who suffer. The thought of being negatively judged by others, being embarrassed, humiliated, rejected or offending others causes an immense amount of stress. Some concerns of those who struggle with social anxiety are that they may be viewed or act in a manner that would suggest they are anxious, weak, crazy, stupid, boring, intimidating, dirty, or otherwise unlikable. They also fear they will act or appear in a certain way that will show symptoms of their anxiety, such as blushing, trembling, sweating, stumbling over their words, or staring and will be negatively judged by others. A childhood anxiety disorder that induces excessive fear or worry over separation or fear of abandonment of parents or primary caregivers. A childhood anxiety disorder that manifests itself in a consistent failure to speak in specific situations, primarily in school or social encounters. Children with this disorder have no issues speaking at home or with close family members. Panic attacks and anxiety are often used interchangeably but are different. Anxiety is pervasive or excessive worry about a future event or situation which may include rumination, irrational thinking or cognitive distortions. Anxiety can be long-lasting and hard to control and may or not include bodily sensations connected to worry. Panic attacks are abrupt feelings of panic triggered by a perceived immediate threat or danger. Panic attacks can induce rapid heart rate, shortness of breath and chest pains that sometimes are misidentified as a heart attack. Many times, the anxiety is surrounding the fear of a future panic attack and struggling with intense symptoms, so individuals begin to avoid places or situations that were thought to trigger intense bodily sensations. A growing body of research have linked genetics and anxiety. Additionally, there is an assumptions that some responses to everyday situations are learned behaviors children by adults. If you had a primary caregiver that exhibited anxiety symptoms in response to everyday stressors, children may be prone to modeling those behaviors. Those who have experienced trauma or witnessed traumatic events are at a higher risk of anxiety. Those who are currently substance abusers or are withdrawing from drugs or alcohol are more prone to anxiety disorders. Additionally, those who experience anxiety may be more prone to turn to drugs or alcohol to lessen their symptoms. Those dealing with a medical condition or serious illness may experience anxiety disorders. The anxiety, worry, or associated symptoms make it hard to carry out day-to-day activities and responsibilities. They may interfere with work or school and may affect relationships. A diagnosis of anxiety requires an evaluation by a licensed clinician such as a psychiatrist or psychologist who specializes in anxiety. At Clarity Clinic, we offer anxiety disorder diagnoses and treatment for children, teens, and adults aimed at understanding the anxiety, as well as triggers associated with symptoms. At Clarity Clinic, we conduct anxiety assessments to determine the severity of the anxiety and identify any coexisting conditions that can frequently be a contributing factor to anxiety, such as depression, substance abuse and mood disorders. Anxiety disorders are highly treatable using a combination of medication management and psychotherapy. Our psychotherapists specialize in cognitive-behavior therapy to treat anxiety. Cognitive-behavior therapy is the most widely used psychotherapy treatment for anxiety disorders and research has shown it to be highly effective in the reduction of symptoms. Cognitive-behavior therapy or CBT is a short-term, goal oriented therapy that focuses on changing behaviors and thought patterns for those suffering from anxiety disorders including generalized anxiety disorder, panic disorder, agoraphobia and social anxiety disorder, as well as post traumatic stress disorder. At Clarity Clinic, our therapists are trained in CBT interventions and strategies to help patients reduce their anxiety and worry and refocus and redirect their negative thought patterns to reduce their symptoms. Our psychiatrists ensure a proper diagnosis and take care in specialized medication management for clients treating anxiety through pharmacological treatment. Working in conjunction with Clarity Clinic therapists, the treatment team works together to devise an individual treatment plan tailored to each client’s’ symptoms. Irritability (which may or may not be observable to others). Many individuals with anxiety disorders also experience symptoms such as sweating, nausea or diarrhea. Additionally, the symptoms associated with the anxiety or worry disrupt daily activities and tasks, and make cause issues at school, at work or in relationships. At Clarity Clinic, we have highly trained staff who specialize in diagnosing and treating anxiety. To schedule an appointment, click on one of the specialists below to schedule an initial evaluation to and discuss assessment, diagnosis and treatment options. The Spotlight Effect – Why’s Everyone Staring at Me?